You care about privacy, security and Quality standards. Mi4biz is certified by US-EU Safe Harbor program, a process for US companies to comply with the European Union Directive 95/46/EC concerning privacy and protection of personal data. This certification program is intended for organizations within the EU or US that store customer data. Safe Harbor Principles are designed to prevent accidental information disclosure or loss. In Mi4biz the authentication process can be internal or delegated to external systems like Active Directory or any LDAP system. Critical data are transferred on secure channels and stored encrypted. Passwords are not decipherable, as well. All users have their specific profile which can be configured according to the “need to know” principle. In this way the access to the various features of the application is controlled by the authorization schema in the control panel. In many implementations, for example, groups of service requests and complaints have their peculiar set of properties that are used by the workgroups along the process (i.e. principle of “segregation of duties”). 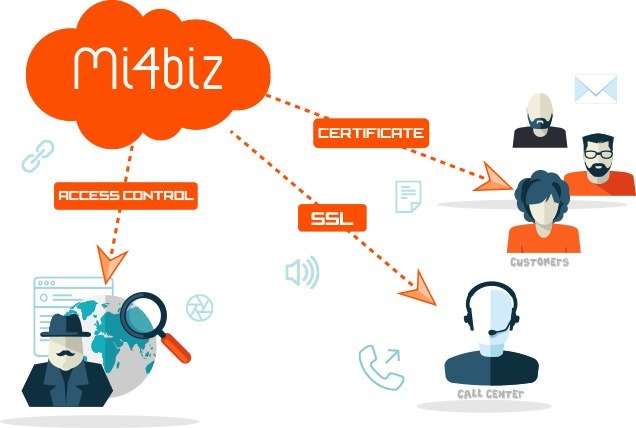 Mi4biz’s customers are able to self-configure the software according to their business needs because in the training program we teach their team leader how to set-up their requirements without being helped by technical consultants. Mi4biz complies with international quality management standards that promote customer satisfaction: ISO, ITIL and COBIT. Certifications on customer complaints and customer satisfaction management requires a system designed to identify complaints and causes, create resolution processes and analyze the customer satisfaction rate. 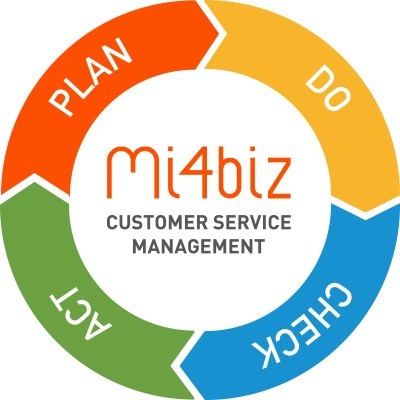 Mi4biz outlines ISO 10002 management system to respond more efficiently to customer complaints. Plan: Foresee the resolution processes with workflows to handle the complaints consistently and automate the relative action steps. Do: Engage pre-planned workflows to solve complaints and requests. Check: Monitoring and measurement of the activities with dashboard and reports. Act: Introduce corrective actions to improve the services offered by using the configuration tools and avoiding changing the software.